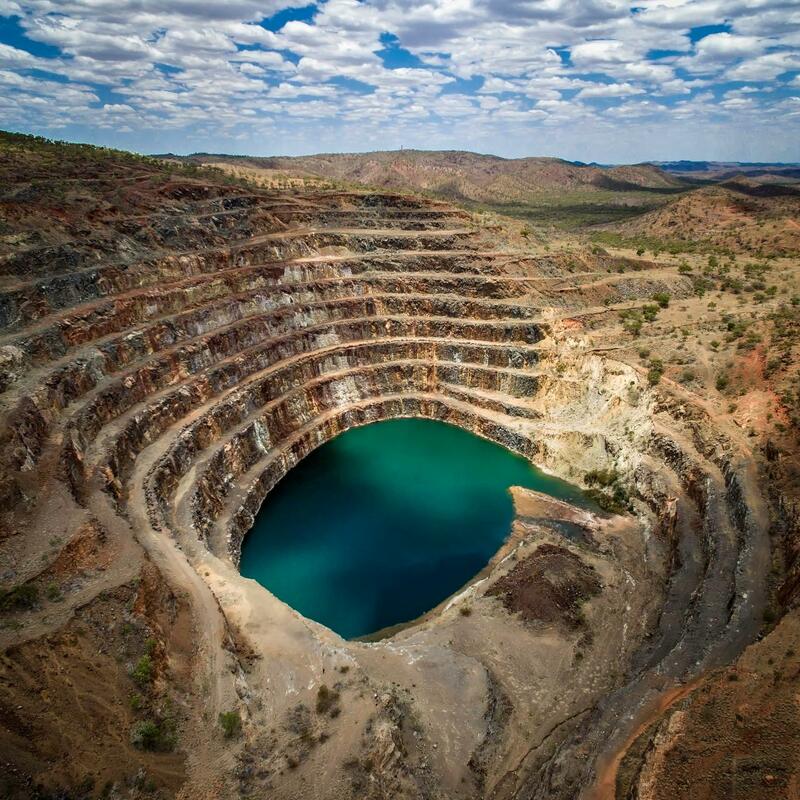 Originally discovered in 1954 by Norm McConachy and Clem Walton, the Mary Kathleen Uranium Mine and Township were officially opened by Robert Menzies, Prime Minister of Australia and Frank Nicklin, Premier of Queensland in October 1958. In its heyday, the township had a population of 1,000 people and was situated 6 km from the working mine. The township had all the essentials that a population of that size needed - a post office, school, cinema, banks, hospital, supermarkets, swimming pool, sports grounds orchards and more. The uranium in Mary Kathleen mine was exhausted by 1981 and it was subsequently closed. Today we can still see the concrete slabs where the original buildings stood, remnants of the town’s layout and the mine itself. And if we listen carefully we may hear the distant voices of the residents as they weave through the trees on the breeze.